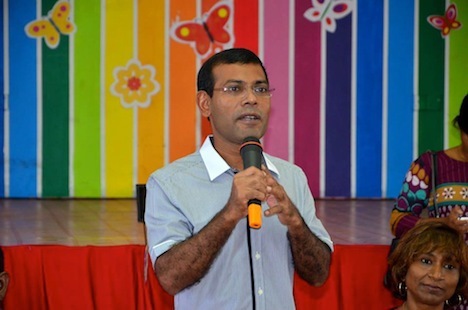 India, which once buoyed Gayoom’s authoritarian regime (and protected him from a 1988 coup attempt), gradually soured on Gayoom, generally supported Nasheed’s administration and the country’s turn to democracy, denounced the election delay and called for a level playing field for all of the candidates. A 5,000-member union of tourism workers in the Maldives is threatening a prolonged strike if scheduled presidential elections are not held on Saturday. The strike… has the backing of former president and current front-running candidate Mohamed Nasheed… as well as an organization representing resort owners in the Maldives. While the threat of the strike, which would involve hotel staff as well as airport workers, may have travelers concerned about upcoming or planned trips to the Indian Ocean islands, it’s not the first time that such calls have been made. Because tourism accounts for at least 28% of the country’s GDP, it’s a powerful tool when used to shape public debate in the country—not to mention in the international media. Nasheed’s pledge of $1bn in welfare payments in the next five years, plus the quarter of GDP spent on the diesel that powers the nation, would give little room for spending on climate adaptation without foreign aid in an already heavily indebted nation. “The cost of oil is bleeding them dry,” says Mike Mason, the British engineer who developed the stalled carbon neutral plan. He adds that governance issues have exacerbated the problem.